Apophyllite is divided into three distinct species, fluorapophyllite, hydroxyapophyllite and natroapophyllite, depending on their chemical composition. 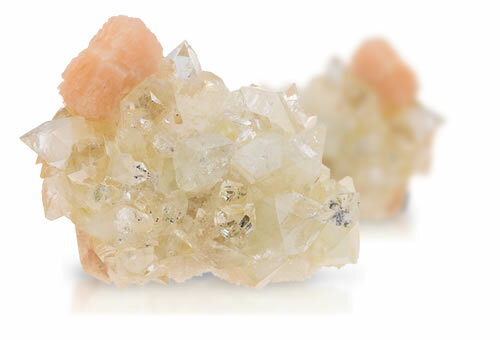 It was once considered to be a single mineral, so if chemical composition is not yet determined specimens will still be referred to as apophyllite. It is commonly found as glassy prismatic, blocky, or tabular white to grayish or light pastel crystals. The name apophyllite comes from the Greek word meaning "leafs off," referring to its tendency to flake when heated.